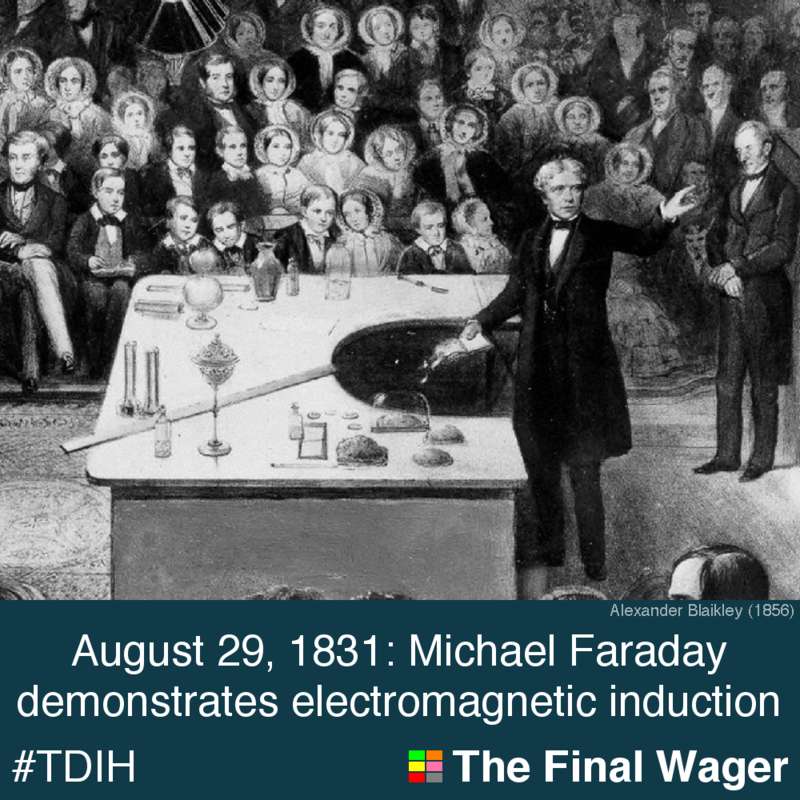 On this day in 1831, Michael Faraday first demonstrated electromagnetic induction: the creation of potential energy by a magnetic field. It is measured in volts. Faraday, who was British, received very little formal schooling, yet went on to become one of the most prominent scientists in history. He tended to describe his discoveries qualitatively; this caused many of his fellow scientists, who preferred mathematical equations, to reject his findings. One exception was Scotsman James Clerk Maxwell, who used Faraday’s descriptions to develop a formula for electromagnetic induction. Joseph Henry, an American, independently discovered the principle in 1832. Henry was the first secretary of the Smithsonian Institution.